Lucknow: On 31 July Memorandum of Understanding (MOU) was signed between Lucknow Metro Rail Corporation (LMRC) and Bharat Sanchar Nigam Limited (BSNL) for extension of facility under smart cardholder. Go Smart Card users of LMRC will now be able to pay the postpaid bill of their Bharat Sanchar Nigam Limited (BSNL) with this card. Both organizations have signed an agreement in this regard. This consent memorandum (MOU) was signed yesterday in presence of LMRC Managing Director Kumar Keshav and Chief General Manager of BSNL Satish Kumar. Keshav said on this occasion that this is a major step towards providing consumer services. Now the ‘Go Smart Cardholder‘ of Lucknow Metro will pay your postpaid bill of BSNL through this card. At the same time, they will also be able to purchase prepaid products such as mobile recharging vouchers and electronic top ups etc. on all the ticket machines counters on all Metro stations. BSNL Chief General Manager, Kumar said that the purpose of this MoU is to develop cooperation among the two public sector units so that they can exchange the existing and future services of each other. Also, use each other’s framework to deliver benefits to consumers. 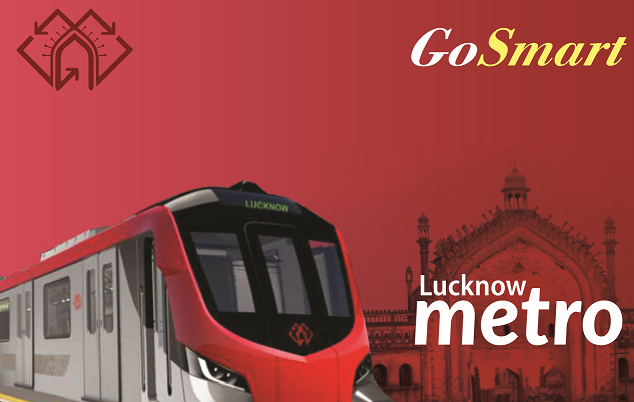 Lucknow Metro was originally designed which included one north-south and one east-west corridor. This will be linked through Gomti Nagar. The total cost for the north-south corridor were ₹5,413 crore , ₹3,611 crore for the east-west corridor and ₹495 crore for Gomti Nagar. At the initial stage the layout of the east-west corridor was started from Rajajipuram and ended at Hahnneman. 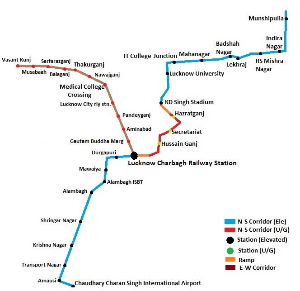 The final east-west corridor will connect the Lucknow Railway Station at Charbagh to Vasantkunj on Hardoi Road which will consist total length of 11 Km. This 11 Km will be include 4.29 Km elevated , 0.5 Km ramp and 6.3 km underground. The design of North-South corridor consists two elevated sections, with a total distance of 19 km which is separated by a 3 km tunnel. The total length of the ramps between the elevated and below ground sections would total 0.8 km.